1. Cuts carbonation time down significantly with a carb stone, so users can fully carb in under 24 hours. In comparison, the “low and slow” method might take a Home Brewer 5-7 days to fully carbonate in a corny keg. Plus the brewers that try to burst carb at much higher pressures risk carb bite, or a carbonic acid flavor, which is simply over carbonated beer. 2. Allows for proper burst carbing and head pressure monitoring. Commercial breweries do the same thing, they may set input pressure to their carb stones at 30 PSI, then monitor the head pressure until the desired carb limit is reached, typically 12-13 PSI. Then turn down the CO2 to a reasonable serve pressures. 3. Allows for bulk conditioning/aging. 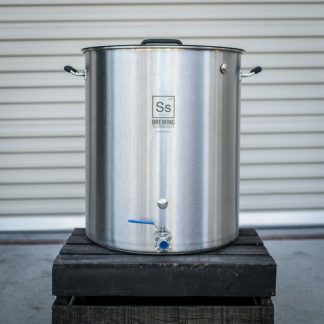 This is seriously underrated, if a 10 gallon home brewer can store and serve their beer all in one vessel, it will age differently, plus you only have one vessel to clean and turn when it’s time to refill. 4. 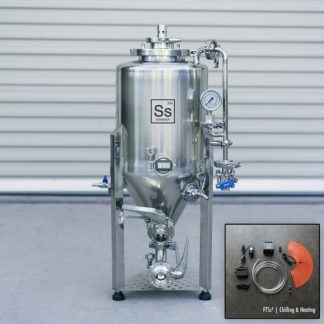 Has a larger center drain instead of a dip tube, so yeast is not drawn into the serving line. Just like a commercial brite tank, the large center drain allows for low-velocity pickup, as opposed to a small dip tube in a corny keg, which is a high-velocity pickup. The high velocity of the corny dip tube results in more yeast and sentiment drawn into the draught line. 5. Has a larger bottom surface area for yeast to settle onto. For the volume of beer, corny kegs have a relatively small bottom surface area compared to the Brite Tank. This allows yeast to settle and gather throughout the lower surface area. 6. Can be used as a Firkin/cask ale device. Most home brewers go to a lot of expense for cask ales and firkin kegs, our Brite Tank allows a home brewer to hook up a beer engine, disassemble the PRV seal and use the small opening as the spile. 7. 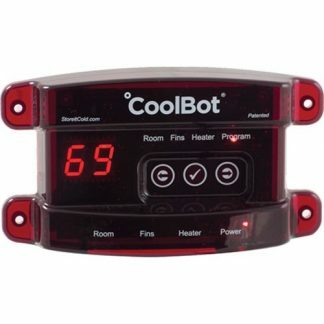 Integrated LCD/Thermowell. 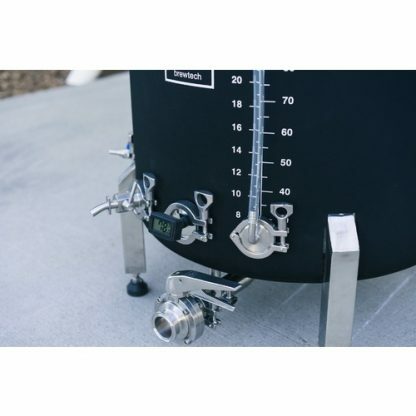 For the homebrewer that closely wants to monitor both serve or lager temp, alongside calculating exactly how many volumes of CO2 is going into their beer, a thermowell and thermometer are key. Kegs don’t have this functionality. 8. Easier to clean/CIP. CIP has proven to one of the more popular features and purchase decision drivers for our BME Chronical line. We will be introducing a reducer so the end user can utilize their existing equipment investments in CIP on multiple vessels. Plus, cleaning kegs is awful, it’s much easier to throw in some caustic or sanitizers and let the pump and spray ball work their magic. 9. Integrated legs with option for casters. We have come across many homebrewers that are not as young as they used to be and kegs may occasionally need to be lifted. By enabling the use of casters, it makes material handling throughout a home brewery that much easier, just roll it around. 10. Ability to serve and function externally with the use of glycol chiller. Kegs can’t function outside of a kegerator or some other sort of refrigeration device. 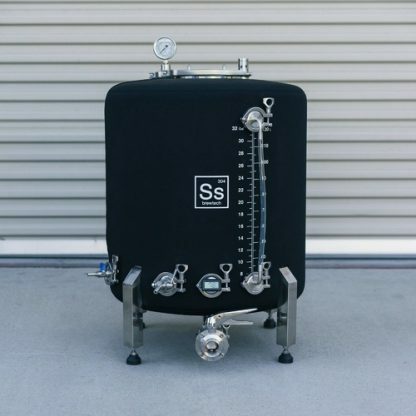 Equip our optional BME coil and jacket upgrade and the brite tank can be rolled outside and served directly out of without the need for a refrigerator. 11. Ability to transfer beer from your fermenter from the bottom up. Many home brewers are obsessive about oxidation, as well they should be! With kegs, you either have to fill from the dip tube, which is a painfully long process and fraught with other issues, or you risk oxidation. 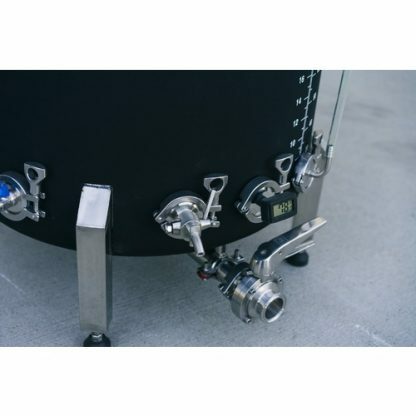 With a Brite Tank, all you need to do is purge the vessel, then fill from the bottom with 1/2″ tubing. Transfers take just a few minutes.